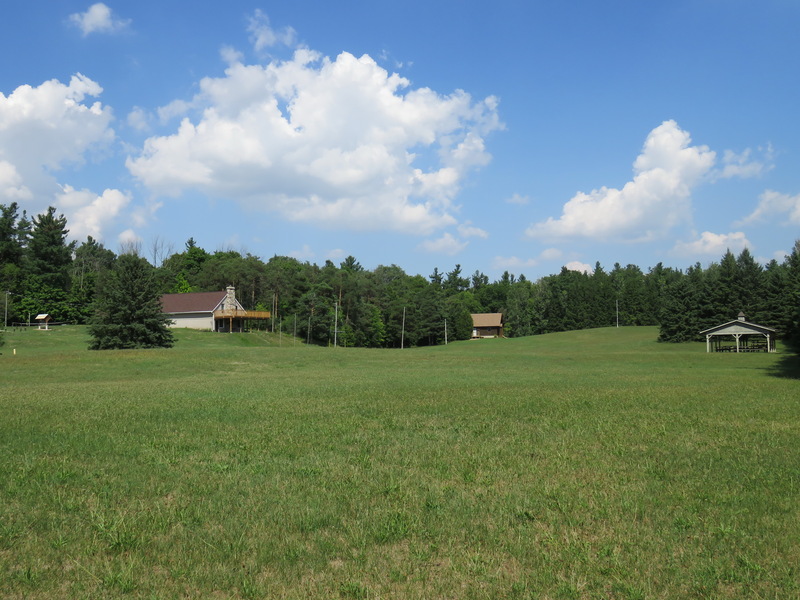 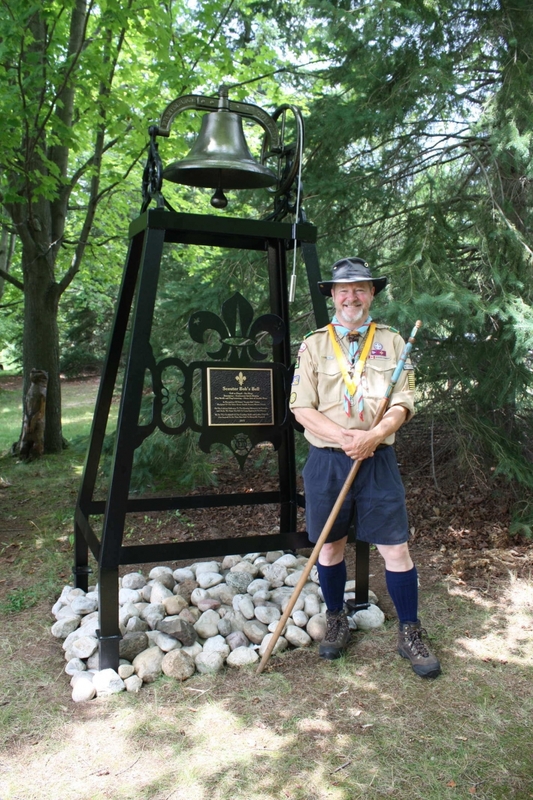 In recognition of Robert “Scouter Bob” Ruttan, recipient of the Silver Acorn award, Scouter, mentor, friend for his lifelong dedication to the Scouting movement, its principles and ideals. 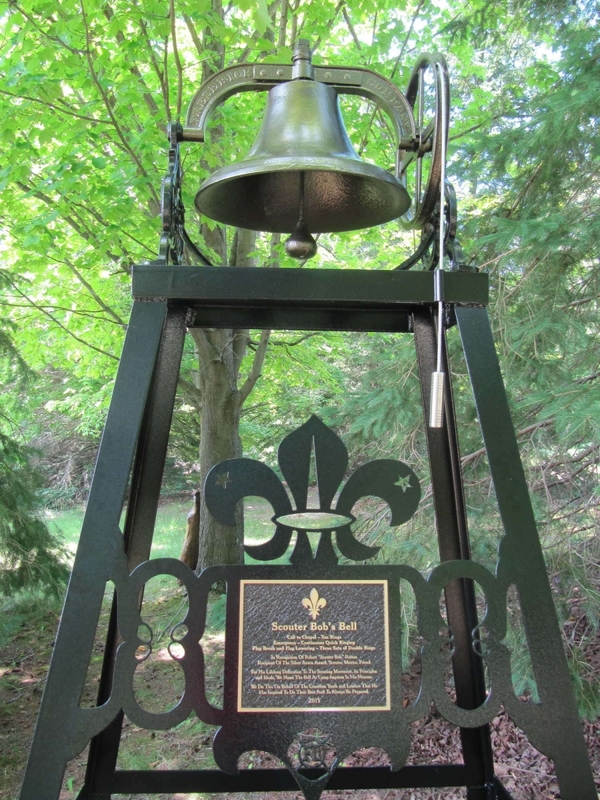 The bell at Camp Impeesa was refurbished and named in his honour in July 2015 by the 1st Paris Alumni and friends. 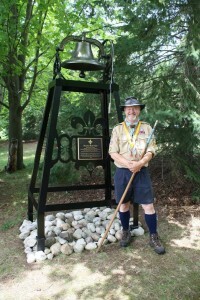 This was done on behalf of the countless youth and leaders that he has inspired to do their best and to always be prepared.